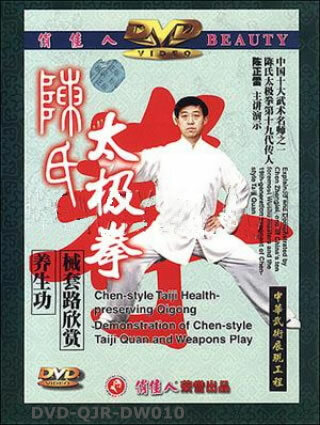 For several hundred years, Chen-style Taiji Quan is deeply loved by many people due to its good function of health preversation. The Internal Exercises handed down from Chen's ancestors are placed great attention by Taiji masters of one generation after another. It is of key importance in Taiji Quan. These exercises help the player take in Qi to cultivate his vitality in the body and reserve it at Dantian, and then change it into spirit, that is, from Taiji to Wuji (Void), achieving simplification and reality. These exercises are simple to learn and greatly effective on chronic diseases such as neurasthenic, high blood pressure, heart disease, dyspepsia, and arthritis.